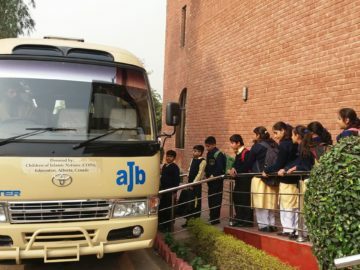 To contribute towards self-reliance of the world’s impoverished communities through support of projects aimed at sustainable improvements in health, education and well-being of children. Children of Islamic Nations (COIN) is a federally registered Canadian charitable organization established in 1982 in Edmonton, Alberta. Run by a Volunteer Board, COIN has received generous financial support from the government and community alike. 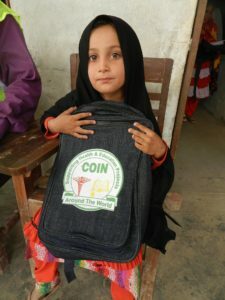 All funds (100%) raised by COIN are utilized for educational and health-related projects for children and women, humanitarian relief and orphan care in poor developing countries. COIN initiated its Orphan Care program three years ago to alleviate the suffering of the world’s most vulnerable community, orphan children. COIN’s support… is giving Riffat, our Deaf Teacher and her 4 deaf children enrolled at the school an amazing opportunity to improve the quality of their lives and future in a unique learning environment designed for the Deaf. The same opportunity is given to the 1,300+ students and their families in the six (6) schools. You and COIN are part of it. 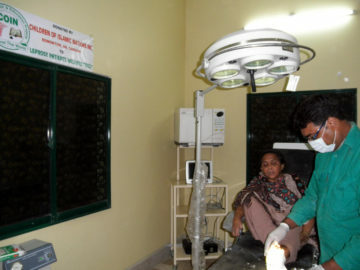 Since your donated equipment has been installed, we have recorded almost 3000 children visits with eye ailments .It is an overwhelming response and a great service to the really needed poor community of the area. For many of its developmental projects, COIN is grateful for matching grants from Alberta Government (through the Wildrose Foundation and the International Development Program) as well as the Federal government (through Canadian International Development agency or CIDA). We value our partners for their help in all our joint efforts. These Partners include NGOs registered in Canada (e.g. 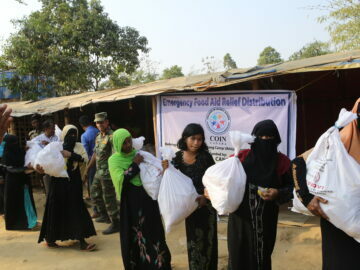 International Development and Relief Foundation, IDRF; Life; Human Concern International, HCI; Red Cross) and other local based NGOs.